I think I can! I think I can! I think I can! 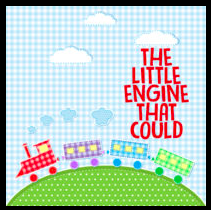 Based on the timeless children’s book, this production will cheer on our favorite little train to keep trying, even when a challenge is tough. This show is geared towards children 5 years old and younger and will help kids learn the value of hard work and optimism.